Dayton E. Babb Jr., 65, of Johnson City, passed away, Sunday, April 17, 2011 at the Johnson City Medical Center, surrounded by his family. He was a Tennessee native, and the son of the late Dayton E Babb, Sr. and Thelma Brummitt Babb. In addition to his parents he was preceded in death by his wife Rosa Babb, brother, Ricky Kevin Babb, and grandson Anthony Hale. 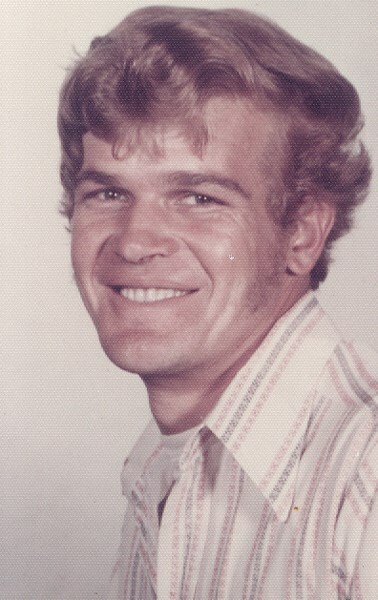 Eddie loved fishing, auto racing, and competed several years in dirt track racing. He served in U.S. Marine Corp. He was of the Pentecostal faith. Survivors include, sons: Ricky D. Babb and wife Pam, Kenneth Babb and wife Eloise, Edward Baker and wife Sheila, Edward Walker and wife Jenna; daughters: Gladys Baker, Mary Baker, Violet Baker, Tammy Wilson and Clara Babb; brothers, Daniel Babb, Rocky Babb and wife Amy; sisters, Marjorie Zehring Ford, Linda Babb, Margaret White; thirteen grandchildren, and ten great grandchildren. The family will receive friends on April 21, 2011 from 5:30 PM to 7:00 PM and services will follow at 7:00 PM in the Morris-Baker South Chapel. Officiating will be Rev. Phil Reed and Rev Roy Reed with music provided by Betty Baker and the Joyful Sounds. A committal service will be conducted at Washington County Memory Gardens on April 22, 2011 at 11:00am. Minister, family and friends are requested to meet at the funeral home by 10:15 AM Friday to go in procession. Active pallbearers will be Casey Baker, Will Bellamy, Steven Helman, Dusty Miller, Jacob Zehring and Joshua Zehring. Honorary pallbearers will be members of the Rolling Thunder Chapter # 4. The Boone Dam Post #4933 and the Tennessee National Guard will accord military rights. In lieu of flowers the family requests that memorial contributions be made to the American Cancer Society in memory of Dayton E. Babb Jr.
Eddie was a joy to be around he always kept you laughing. He loved his family and his friends. I remember he once took me to a place where he had a car accident and was telling me how it happened. He said see that big tree, he then said, I don’t know what made me do it but I was watching that tree and drove right into it. As We were approaching the tree for some unknown reason we hit it again. How we laughed over this again. I told him to just let me walk next time he came near that tree. But that was my big brother full of love and would help anyone fix their cars and he loved racing and of course his grand babies. Until then, I will miss you my dear brother and I know we will see each other again on the other side. I will look for the brightest star and know it is you. I love you Eddie, love your baby sister Linda..
Eddie, I am thankful that I got to know you and your family. You were a wonderful man that I had the privilege of knowing. I know you are rejoicing with your wife, parents, and bro. right now and most of all Jesus. We will always miss you but have that blessed hope of seeing you again. We love you Eddie!!! Fred,you will truly be missed, I love and miss you. Oh yeah, “HOWS YOUR HAMMER HANGING” Say hi to Grandma and Grandpa, Rose, Ricky, Irv and uncle Carson for me.